Read on as Peter Dowsett, author of Audio Production Tips offers special insight into his book and get access to a free book chapter on Tracking Drums. 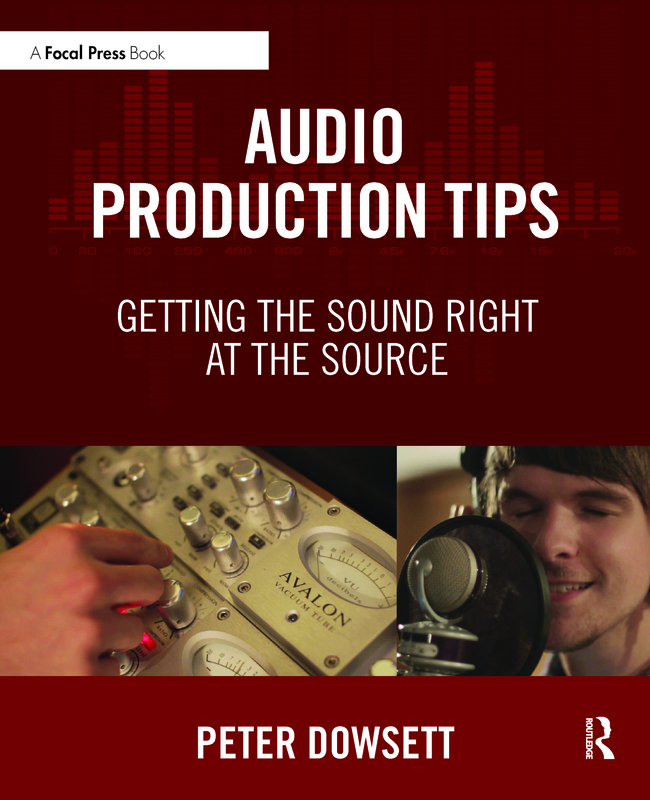 Audio Production Tips provides practical and accessible information detailing the production processes for recording today’s bands. By demonstrating how to "get the sound right at the source," author Peter Dowsett lays the appropriate framework to discuss the technical requirements of optimizing the sound of a source. Through its coverage of critical listening, pre-production, arrangement, drum tuning, gain staging and many other areas of music production, this book allows you to build the wide array of skills that apply to the creative process of music production. What prompted you to write Audio Production Tips? It’s a pretty funny story actually, I didn’t intend to write a book, and it was originally going to be a short guide to help a number of students who kept asking me for help. It just kept getting bigger and bigger and at 40,000 words I thought to myself “ I should do something with this”. When discussing titles for the book “Get the Sound Right at the Source” seemed to neatly encapsulate what I wanted to achieve. Performance elements (such as the arrangement/player/instrument choice) trump any technical decisions (such as mic choice/placement/EQ) every time. To make decisions on performance elements you not only need a suitable vision but also the “sonic reference points” to make that vision a reality. Is there a part or chapter of the book that resonates the best with you? Perhaps an area you might call a specialty or favourite? Well that is like asking a parent who their favourite child is. However, if you pushed me I’d have to say the chapter on tracking drums. I love working with acoustic drums, choosing the right drums and skins then tuning them to perfection. There is something extremely gratifying for any rock producer/engineer when the drums just sound “huge” and fit with the track perfectly. What makes this book different from similar titles on the market? All the books I have read involving production/engineering tend to revolve around technical aspects like EQ and compression. I would say that my book is a perfect companion to a book like that as I primarily discuss things like: mind-set, music theory and of course the technical aspects when choosing the right type of instruments/amps/accessories in the first place. Can you sum up the book in a single sentence? Other books on engineering concentrate on how you would capture a source if the source itself were already optimal; my book concentrates on making the source optimal in the first place. 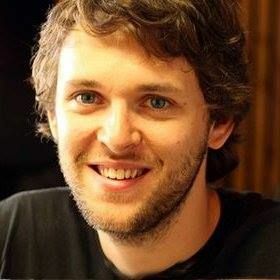 Peter Dowsett is a British audio engineer known for his experience with many faets of the music industry including studio engineering, mixing, mastering and live sound. In the studio he has worked at Metropolis studios with clients including Pharrell Williams, Snoop Dogg, Rick Ross, Downton Abbey, Nick Jonas, and Dappy. His work has been synced on ABC, Channel 5 and featured on cover CDs for Metal Hammer magazine. He has received extensive international radio and television airplay. In a live sound environment Peter has toured with Ugly Kid Joe, Fozzy, Twisted Wheel and Beholder and has engineered major festivals including Download, Sonisphere, Wacken Polish Woodstock, and Lockerse. He has also worked FOH or monitors at Coventry Kasbah, Birmingham Institute, and Nuneaton Queens Hall for The Darkness, Buzzcocks, Foals, Miles Kane, Dodgy, Ash, Cast, Chase and Status, Pulled Apart by Horses, and We are the Ocean. To view our full range of audio and music technology books, click here!